The C13th Century Battle of Evesham is re-enacted on the 4 & 5 August 2018. This free to attend event, takes place in the Heart of Evesham. 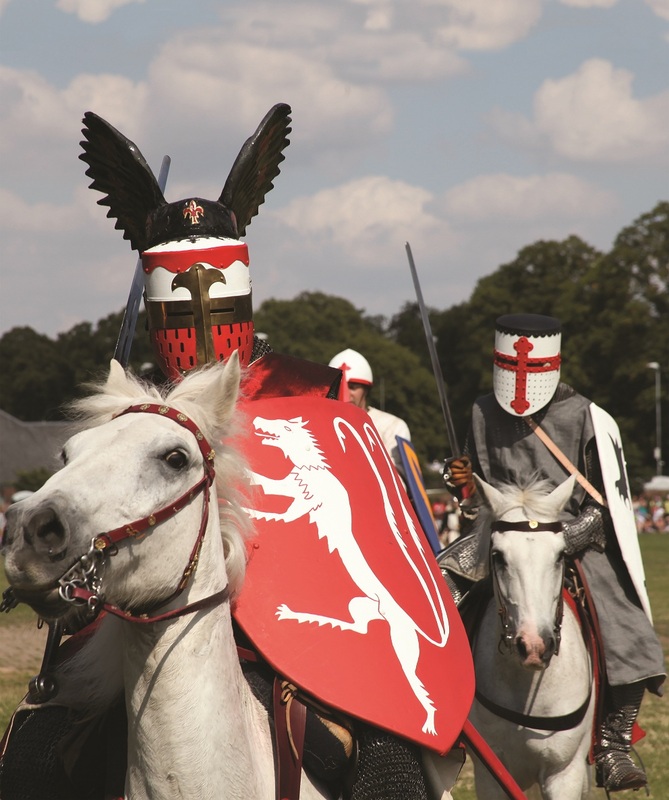 It features a mediaeval festival and camp with demos of cookery, weapons and medicine, and the main battle re-enactment. We expect thousands to attend, to witness a battle which lead to the democracy we know today. The action-packed weekend will include hundreds of re-enactors fighting ‘to the death’ on both days. The Grand Parade, with mounted knights in full armour will wind its way through the town on Saturday. On the Crown Meadow, visitors can watch medieval musicians and dancing at the camp, along with craft demonstrations and medieval cookery. You can also see, but please do not try this at home, displays of C13th medicine. There’s also weapon demonstrations, the mini Trebuchet in action will educate and intrigue the whole family. In addition, next to the camp, there will be falconry and equestrian displays, treasure trails and children’s activities. Various stalls and food outlets will be selling a range of dishes and snacks; a licensed bar will be available . The last Battle of Evesham Medieval Festival was in 2015. Then the town commemorated the 750th anniversary of the historic Battle. This attracted an estimated 15,000 people into the centre of Evesham and boasted a parade of over 200 horses and soldiers. The Battle itself was on on 4 August 1265, between the forces of Prince Edward and Simon de Montfort. Over 4,000 soldiers died on Evesham’s streets and in the surrounding countryside, including Simon de Montfort himself. De Montfort’s forces were greatly outnumbered and the outcome a foregone conclusion. Some called it ‘the murder at Evesham, for it was not a battle’. Edward the Confessor granted a charter for a market to Evesham, on a fertile spot of land near the abbey. Henry VIII dissolved the abbey, until then, the third largest in the kingdom. James I granted a charter to hold a market in 1603 and this market continues today in the weekly markets on Tuesday and Saturday. 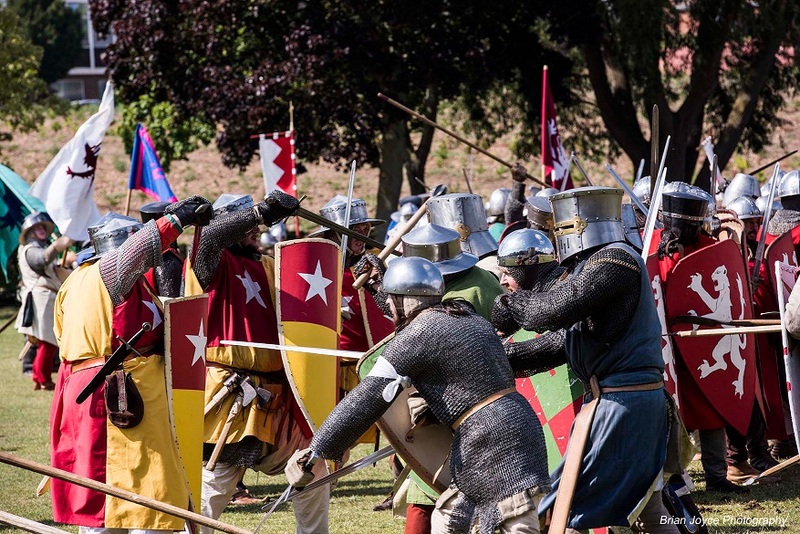 Kate Varvedo, Events Manager at Battle of Evesham Medieval Festival says “We are delighted to be hosting another event when visitors can step back in time to a bygone era. We enjoyed the event in 2015 so much that many people want an annual event. This is a great boost for the economy of the town. And it puts Evesham firmly on the map for residents and visitors to enjoy”. There’s a diverse array of festivals in the Vale of Evesham spanning interests from angling to asparagus! The festival season here is all year round.